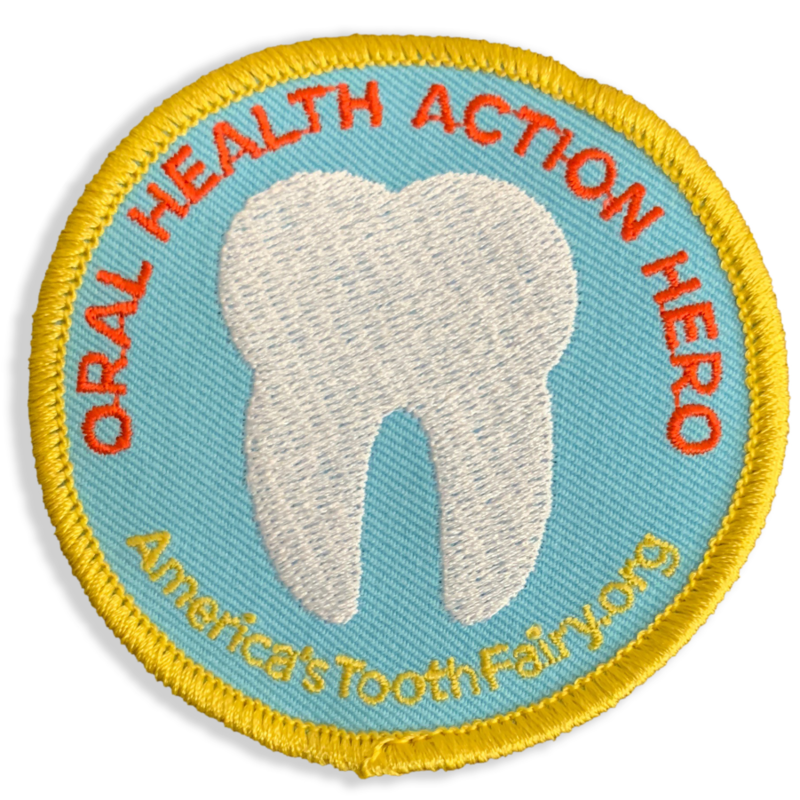 On November 1, 2018 Scout troops across the country flocked to register as participants in our HERO Program (Health Education Resources + Outreach) to earn their Oral Health Action HERO patches. All 2,000 available patches were reserved in a matter of days. Since then, 32 troops have completed projects to increase awareness about the importance of oral health, and collected more than 4,000 oral care products for children in their communities! The remaining registered troops have until June 30, 2019 to complete their projects and claim their patches. Any patches left unclaimed will be available at that time for troops that were unable to register in November. Learn more about the HERO Program here. In addition, thanks to a generous donation from DentaQuest, another set of 2,000 patches are available exclusively to Scouts in New York, Florida, Texas and Michigan! To earn a patch, Scouts must lead three oral health projects that change the way members of their communities think about taking care of their mouths, empower children to change negative oral health behaviors, and remove barriers that challenge positive oral health habits. Projects must include a visit to a dental office and participation in a Smile Drive. For more details, download our informational brochure. Or to register, click here. 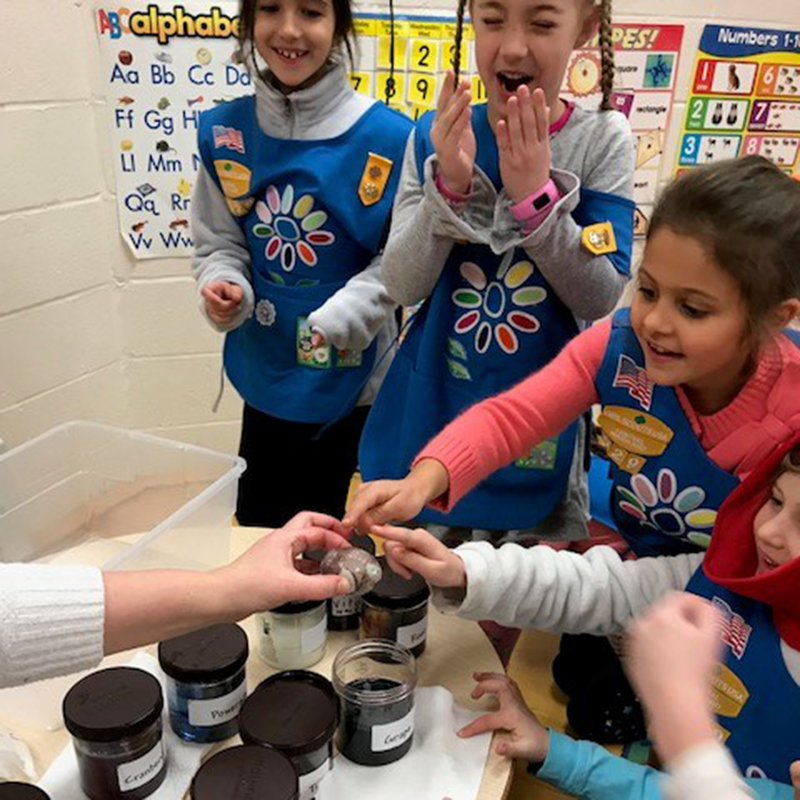 Girl Scouts from Ellicott City, MD react to the dissolved shell of an egg soaked in soda. 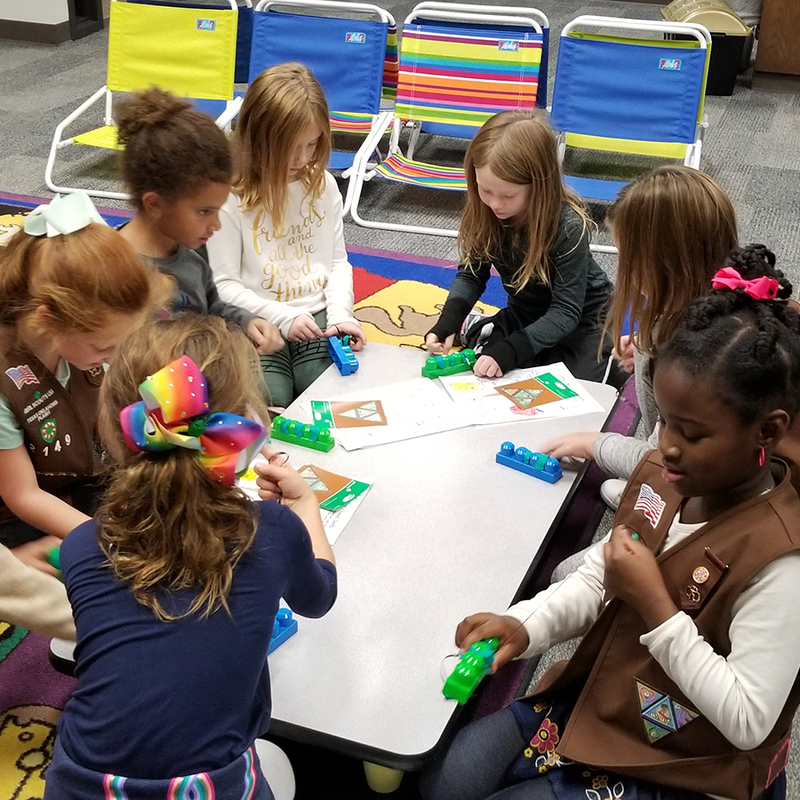 Troop 2149 practiced their flossing technique using string, Play-Doh and Megablocks. 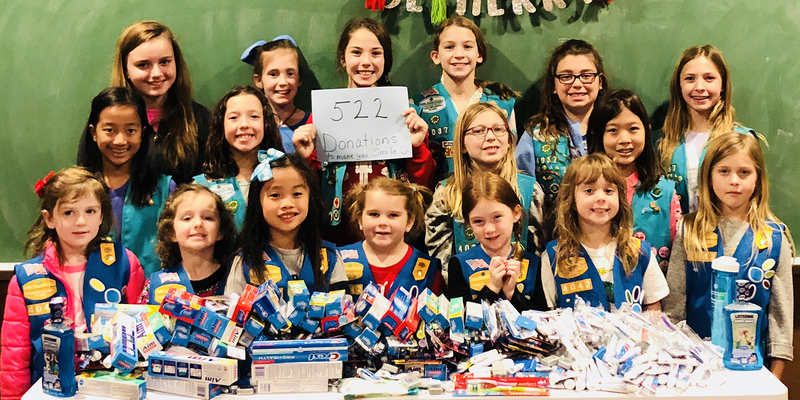 Troop 40504, Chattanooga, TN collected 194 toothbrushes, 67 toothpastes, 7 mouthwashes and 32 floss for a total of 300 oral care items. Troop 2072, San Diego, CA collected 400 dental care products that they donated to A.B. and Jessie Polinsky Children's Center. Troops 4042 and 4037 from Southlake, TX were proud to show off the 522 oral care products they collected during their Smile Drive.